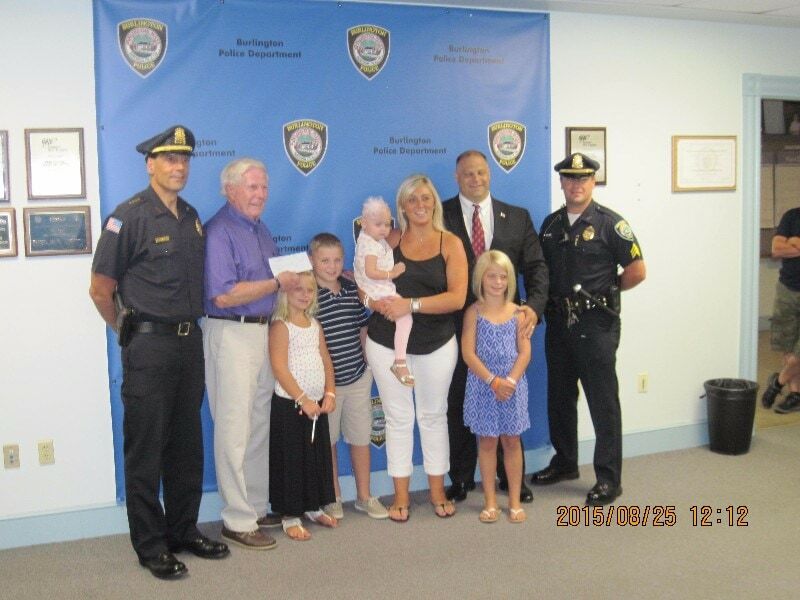 On August 25, 2015, Cops For Kids With Cancer went to the Burlington Police Department and made a $5,000.00 donation to the family of Olivia Steiner, a 2 year old girl from Burlington, who has Leukemia. In photo left to right, Chief Michael Kent, Bob Faherty, Sister Emma, Brother Hunter, Mother Christine, Olivia, Father Jason, Sgt. Gerald McDonough, CFKWC, Board Member.